True design-builders think differently. There is a specific type of thinking that is required for us to get beyond our discipline biases which is required to be truly innovative. On Wednesday, April 20, Dr. Barbara Jackson from the University of Denver will present Adaptive Intelligence and Integrative Thinking to both Transportation and Water/Wastewater conference attendees at the Charlotte Convention Center in Charlotte, N.C. Together, both conferences offer over 40 educational sessions and up to 24 hours of continuing education credit. These events will take place this April 18-22, 2016. To register, visit www.DBIA.org/conferences. DBIA is looking forward to two record-breaking conferences this April in Charlotte, N.C.! To accommodate all of our attendees, DBIA has secured room blocks at several Charlotte hotel properties including: Westin Charlotte, Omni Charlotte, Hyatt Place Charlotte, Hilton Garden Inn Charlotte Uptown and Hampton Inn Charlotte Uptown. Each hotel has a different reservation cut-off starting with Friday, March 25. To make your reservation(s) please go online and view instructions for each hotel property. Book your room now! DBIA celebrated the codification of Senate Bill 465 in Virginia on Monday, March 21, which allows for design-build proposals to include Alternative Technical Concepts (ATCs), a recommended best practice in design-build project delivery for the transportation sector. Alternative Technical Concepts (ATCs) are technical ideas that are developed by proposers, typically during a design-build or Public-Private Partnership (P3) procurement, that deviate from the Request for Proposal (RFP) criteria for a given project. ATCs are allowed on design-build projects in neighboring North Carolina, which recently used an ATC on the I-485/I-85 project to achieve an impressive $30 million in cost savings. A proposal to allow public-private partnerships for transportation projects in Tennessee is advancing in the state Legislature after sponsors said it would no longer apply to highway or bridge construction. Republican Sen. Bill Ketron of Murfreesboro said the measure would now only apply to mass transit projects like light rail. Ketron said that highways and bridges were removed from the legislation at the behest of the roadbuilders' lobby. The benefits of the design-build process have a broad appeal across just about every sector, from retail to higher education, but the place where those benefits may be most directly felt is in the manufacturing industry. Today’s stringent economy means constantly squeezed margins and ever-tightening production timelines. With so little fat left to trim, manufacturing companies, especially those committed to American-made products, must constantly seek innovative solutions for cost cutting. This is where design-build really shines. The District of Columbia recently launched an executive office to specifically focus on leveraging public private partnerships in service of funding infrastructure projects. In a high growth city like this one, there is an incredible urgency to secure resources for both existing and new infrastructure. After recently launching the Office of Public Private Partnerships, the challenge now is to figure out how to prioritize projects, quickly identify opportunities for innovative partnership, and execute projects. The City Accelerator would help the District focus on a single class of projects to test whether an interagency planning and prioritization process leads to the identification and acquisition of executable financing options. The unfolding water contamination issue in Flint, Mich., which led to the declaration of a federal emergency, is the latest example of the challenges we are seeing across many of our nation’s cities when it comes to aging infrastructure. From transportation and stormwater to broadband and energy efficiency, cities are juggling limited resources to build and maintain vital capital assets to meet even the most basic needs of residents, especially in low-income communities. 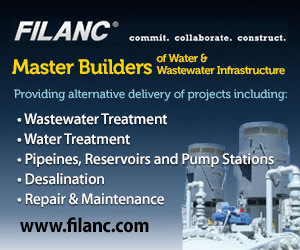 It is estimated that the growing demand for infrastructure improvements totals more than $60 trillion globally. Increasingly, cities and states have to cover these costs on their own, requiring enormous coordination and new financing mechanisms to address that large and growing need. Metro unveiled an ambitious transportation plan Friday, proposing to use $120 billion from a possible future sales tax to build numerous projects, including a rail line to Las Vegas, extension of the Gold Line Foothill to Claremont and a train or freeway tunnel under Sepulveda Pass. When the Southern Nevada Tourism Infrastructure Committee meets Thursday at the University of Nevada, Las Vegas, a proposal to build a $1.2 billion domed football stadium will be aired in a room full of people with differing priorities on local tourism amenity needs. Even though committee members aren’t expected to reach any final conclusions at the meeting, their tone and the direction of their questions could show which way they’re leaning on a project that, as currently proposed, includes a public funding component. North Carolina voted overwhelmingly last week to borrow $2 billion to pay for a laundry list of infrastructure projects. About two-thirds of the bonds will go toward new buildings, repairs and renovations at all University of North Carolina system and community college campuses. The rest would go for local government water and sewer projects and construction money for parks, the North Carolina Zoo, the National Guard and the Department of Agriculture. A Las Colinas mixed-use project would add millions of square feet of office space, shopping, apartments and hotel rooms if Irving’s City Council approves a change in zoning this week. Planned by Verizon Corp. and developer KDC, the $1.5 billion, 158-acre development has been in the works since last year. Architect Gensler has designed the campus on Verizon’s property and done preliminary concepts of buildings. “We are taking what was built as a very exurban campus and working with them to build in a neighborhood center and amenities for what will be sites for several headquarters properties,” said Gensler’s Barry Hand. The Envision Sustainable Infrastructure Rating System provides a holistic framework for evaluating and rating the community, environmental and economic benefits of all types and sizes of infrastructure projects. It evaluates, grades and gives recognition to infrastructure projects that use transformational, collaborative approaches to assess the sustainability indicators over the course of the project's life cycle. Skanska’s involvement with the Envision program started four years ago when Ryan Prime, Skanska project engineer, cold called Harvard University’s Zofnass Program for Sustainable Infrastructure to receive more information. Vietnam's Dragon Bridge, owned by the Da Nang Department of Transportation, and designed by Louis Berger and Ammann & Whitney, was named the recipient of the 2016 ASCE Outstanding Civil Engineering Achievement Award during the annual Outstanding Projects And Leaders Gala, March 17, in Arlington, VA. The Milwaukee Bucks confirm to CBS 58 that Mortenson Construction has been named as the construction manager for the new multi-purpose arena to be built in downtown Milwaukee. The 714,000-square-foot facility, which is the result of a historic public-private partnership between Bucks ownership, Senator Kohl, and the city, county and state, will anchor a new sports and entertainment district in Milwaukee that will transform 30 acres of vacant land into a new vibrant, urban neighborhood activated by sports, entertainment, residential and office uses. Two seemingly unrelated developments in the U.S. Department of Labor (DOL) will affect employers in 2016: The First, the over 100 percent proposed increases in threshold amounts of salaries that qualify for “salaried exempt” status under the FLSA; The Second, congressionally mandated increases in OSHA penalties at a minimum of 80 percent by Aug. 1, 2016. Caterpillar Inc. recently conducted a production study at their proving grounds in Peoria, Ill., that once and for all put new technology to the test against traditional road building methods. They built identical roads side by side – one with integrated technology and one without – to measure differences in job time, work hours, machine hours and fuel burned. The goal was to give a visual demonstration to show how this technology can improve the workflow on the jobsite. Wakefield Beasley & Associates, Inc.
New member listing as of March 21, 2016.